When you’re redecorating your home or looking for DIY inspiration, Pinterest becomes your best friend. However, there’s another great tool for those of you looking to revamp your interiors – Houzz. When we’re working on a staircase renovation project, part of the Jarrods’ approach is to really get to know our customers so we can bring their vision to life. As such, we find that most of our customers are very visual thinkers, so tools like Houzz and Pinterest are great for them. In fact, asking customers to see their inspiration photos has been an integral part of our process so we can really get a feel for what they want. We created the Jarrods Houzz account a while back, and we’d be lost without it now! Creating lookbooks couldn’t be easier, but a lot of our customers are still unaware of Houzz. It’s essentially an entire database dedicated to photos of interiors which you can share with your friends, family and even designers. Pinterest seems to dominate the industry, and whilst that’s also a useful tool, there are some clever tricks on Houzz which makes the design phase and visualisation a lot easier for customers. As such, we thought we’d talk you through some of the best features. First things first, you need to know a bit of a background on Houzz. Founded in 2008, Houzz is a dedicated website that specifically aims to connect design professionals with homeowners. Design professionals can be any business from lighting designers to staircases designers like ourselves. In order to get started, all you need to do is create a free Houzz account. To make it even simpler, you can log in with your Facebook or Google account. Once you’re signed up, you can search through photos, shop, find professionals, and read advice from a multitude of designers. Houzz allows users to collate inspiration photos into ideabooks. You essentially create categories which brings your favourite images together into an online scrapbook, allowing you to have everything in one place! And that’s not even the best part; you can also add collaborators or share your ideabooks with selected people such as friends or your interior designer. 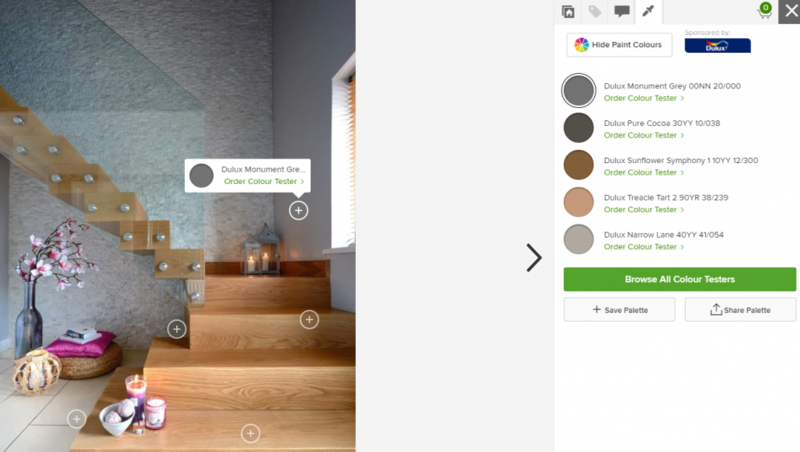 Perhaps one of the most unique and beneficial elements of Houzz is its ability to filter your options by specific colours. If you’ve found a paint colour you’re interested in, you can filter your results to that exact shade and brand. You can see examples of how it’s been used in other houses and see if it’s the one for you. After hours of scrolling through images, it’s all too easy to forget to save a few and they’re seemingly lost in the dark abyss that is your browser history. It’s happened to the best of us. However, Houzz has introduced several features to counteract that. If you’re logged in, you can tap Your Houzz and go into its history. Rather than having to trawl through your entire browser history, you can view your Houzz’s recently viewed images in chronological order. It’s that simple. Just try not to forget to save them to your ideabook the second time around! One of the best things about Houzz is just how easy it is to navigate around the site. With its simple, minimalistic interface, everything is made simple. There are different tabs for each of the main purposes. Whether you’re looking to find a product, a photo or a professional, everything can be achieved at the touch of one simple button. Our customers have been kind enough to add lots of 5-star reviews on Houzz, feel free to take a look through them. 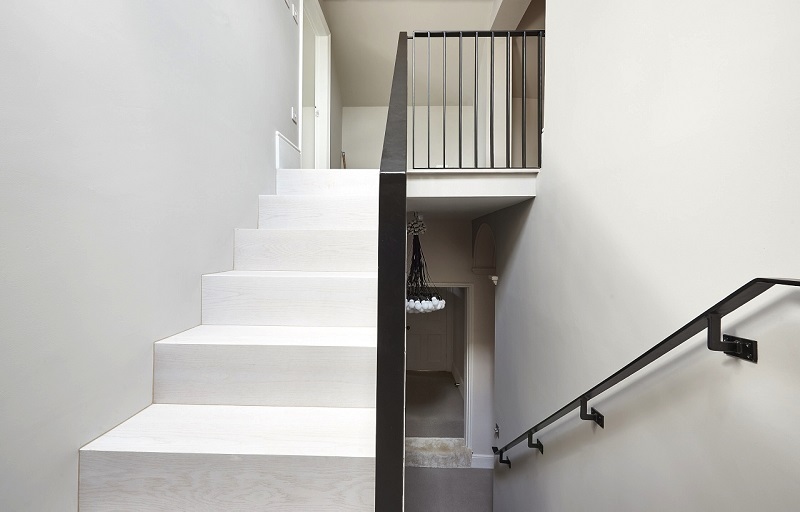 If you’ve already got your Houzz ideabook set up and you’re ready to talk to somebody about a staircase refurbishment, get in touch with our team today.